Now that the weather is getting better in Portland one of our favorite things to do is hit one of the food cart pods that are all over the city for lunch or dinner. Portland is a mecca for food carts! 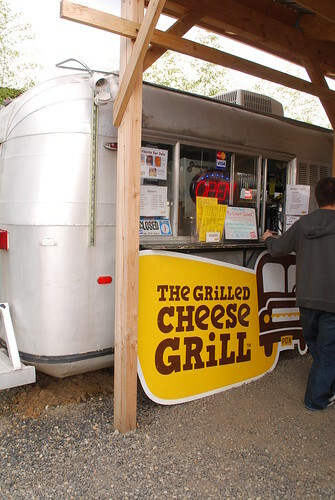 One of our favorites is a food cart that just serves grilled cheese. 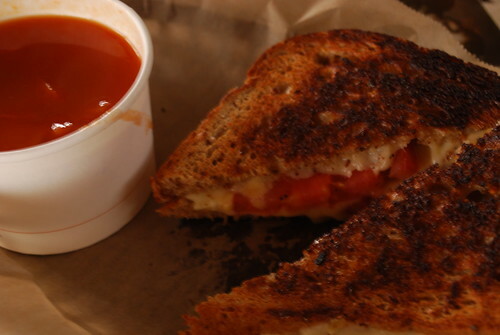 Grilled cheese and tomato soup is one of our favorite comfort food. I think we grew up on grilled cheese and tomato soup at our house. 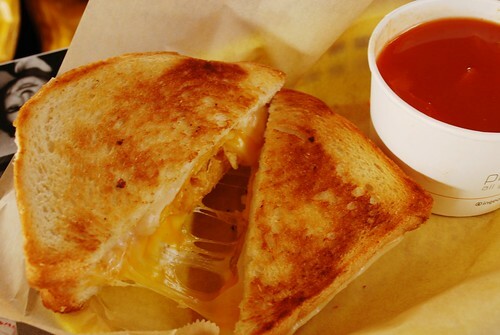 The Grilled Cheese Grill is located at 1027 NE Alberta Ave., Portland, 97211 and is open starting at 11:30 each day except for Mondays when they are closed. Check out their website for specific closing hours. They also have a location downtown at the Alder Street food cart pod and over on SE 28th and Ankeny. The Ankeny location is actualy a double decker bus!! The Grilled Cheese Grill is celebrating their first birthday tomorrow – Tuesday, April 19th so head on down and join the celebration. The kitchen is run out of a little trailer. There is outside seating but the best place to sit is in the bus. 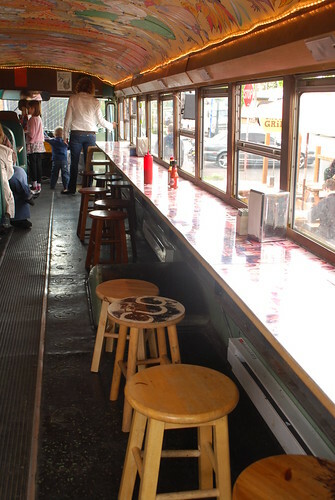 They have brought in an old school bus and outfitted it with booths and a nice long counter and stools. Hundreds of old school photos decorate the table top and counter top. Maybe you’ll see someone you know! 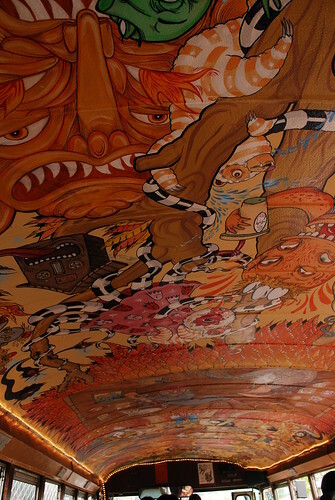 The painting on the ceiling is amazing and will keep you entertained for hours! We went with The Gabby which was a combination of cheddar, colby jack, swiss, mozzarella on white bread. 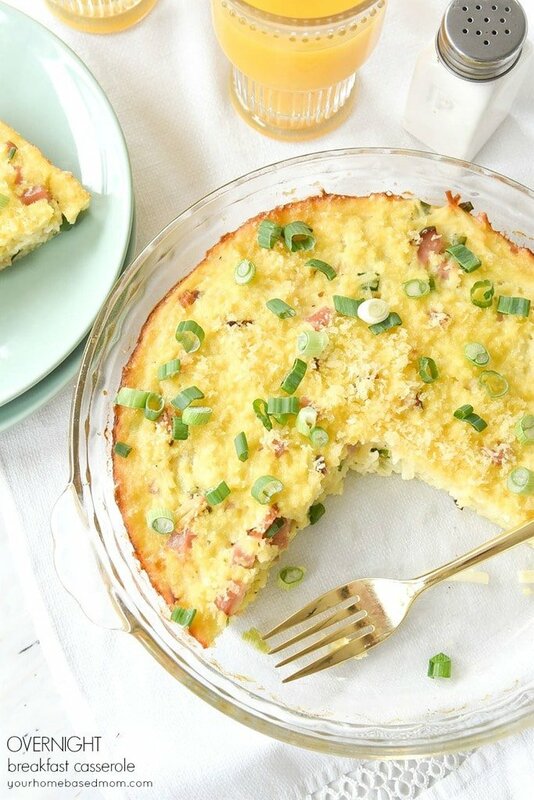 We lived dangerous and added potato chips to it – yes, potato chips. 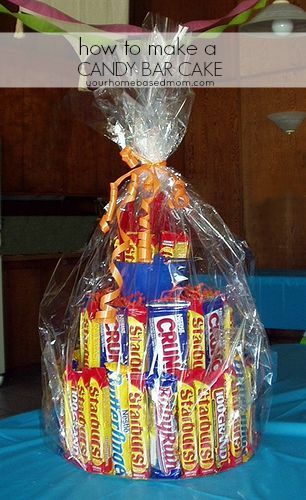 I loved the addition of the salt and the crunch. Our second choice was The Pops which was a combination of tomato, Havarti and honey mustard on Dave’s Killer Cracked Wheat – so good and my favorite. 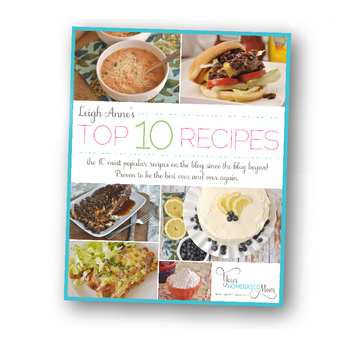 Of course we added the tomato soup too! The Jaime was a combination of marscapone, Nutella, and grilled banana on grilled cinnamon swirl. It was amazing and I don’t even like bananas!!! The food was great and how fun is it to be able to eat lunch in a school bus! Check out The Grilled Cheese Grill!! Sounds like a neat place to check out. I have potato chips on all kinds of sandwiches. Today I had leftover pork tenderloin, on Killer Dave’s bread with cream cheese, raspberry jam and potato chips. It is so cool that you posted this today… I think you wrote about this place severalmonths ago and I have never forgotten about it. 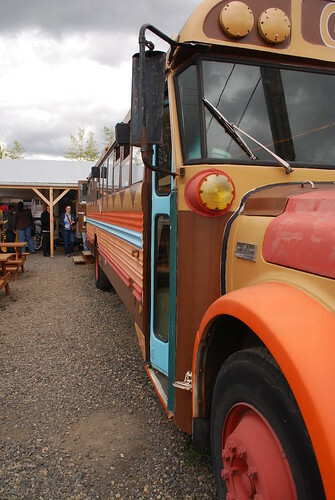 Just last night I was telling a friend of mine about the grilled cheese food truck where you could eat in an old school bus! How cool that you feature it again today. I am thousands of miles away, but I would love to go here one day! 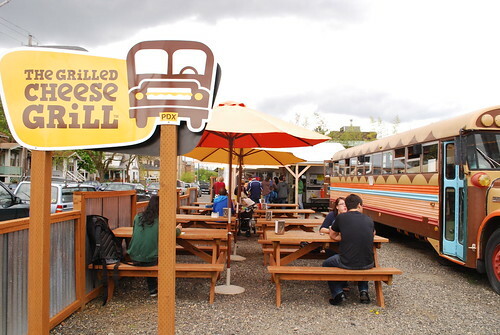 If you ever make it to Portland Lynn you should definitely go to the Grilled Cheese Cart – so fun and yummy! I originally posted this on my other blog and just moved it over to this one. That sounds like fun. 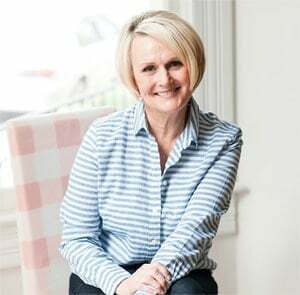 My granddaughter is home from BYU so we are going to have to make a date and go to that one. Should be fun!